Dry. Prairies, upland woods, fields. This is a 12″ to 24″ tall, erect, perennial forb that rises from a deep, horizontal, tough rhizome. It often forms colonies. 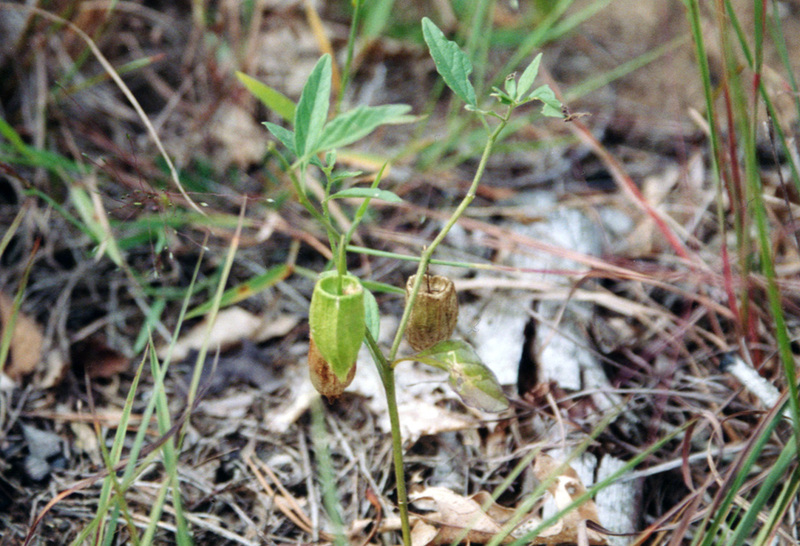 The stems are forked with ascending branches. 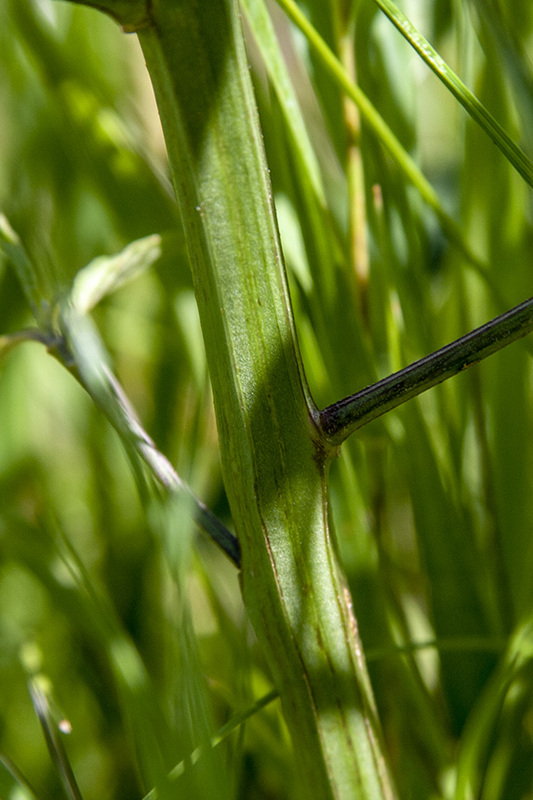 The upper part of the stems are covered with short, stiff hairs that are bent backward, and no glandular hairs. 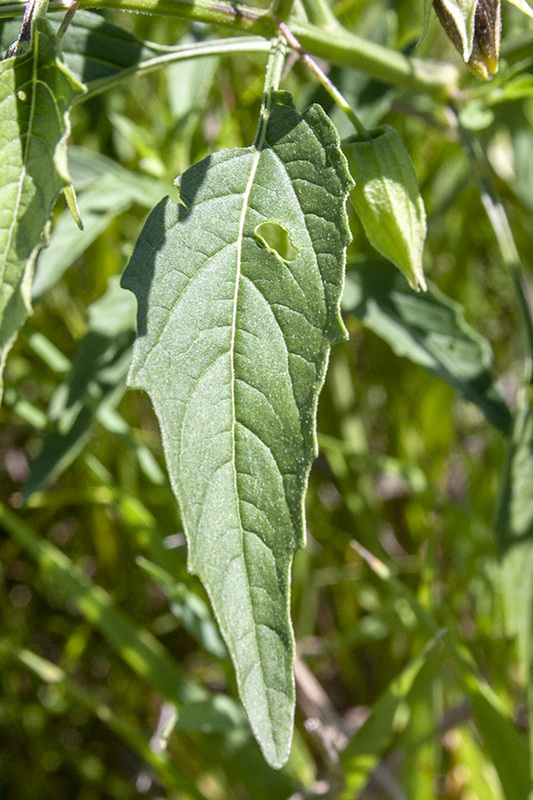 The leaves are alternate, thick, soft to the touch, stalked, egg-shaped to narrowly lance-shaped, 1¼″ to 3″ long, and 1½″ to 2½″ wide. They are broad and rounded or heart-shaped at the base, and taper to a point at the tip with straight sides along the tip. The margins have a few irregular teeth. The upper and lower surfaces have silky, appressed hairs as well as glandular hairs. The inflorescence is single flowers nodding at the end of ⅜″ to ¾″ long, hairy stalks (pedicels) rising from the leaf axils. 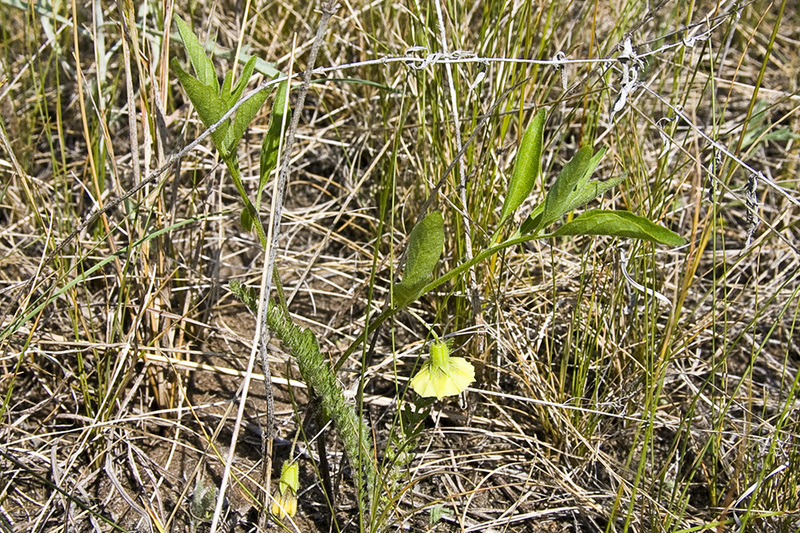 The flowers are ½″ to ¾″ long and wide. 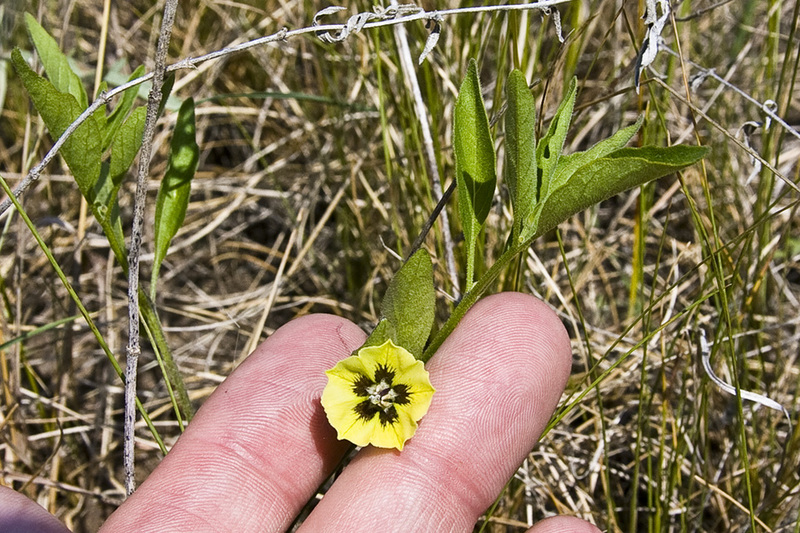 There are 5 pale yellow petals with purple to brown splotches near the center. They are fused into a bell-shaped corolla with 5 shallow lobes. The fruit is a ½″ spherical, berry, green at first, turning orange at maturity. It is enclosed in an inflated, papery, heart-shaped, 5-angled, ¾″ long husk. The tip of the husk is mostly closed, and the base is sunken. The husk hangs from a ⅜″ to ¾″ long pedicel. The berries are poisonous when green, edible when ripe. 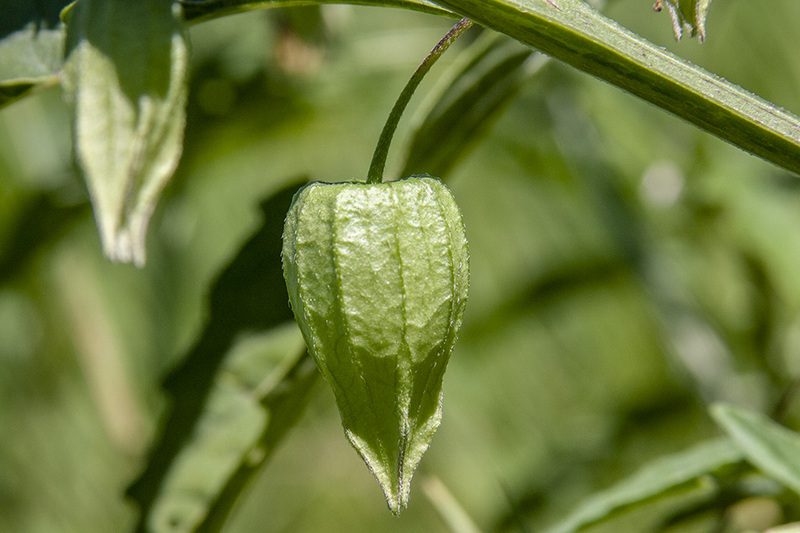 Clammy groundcherry (Physalis heterophylla var. 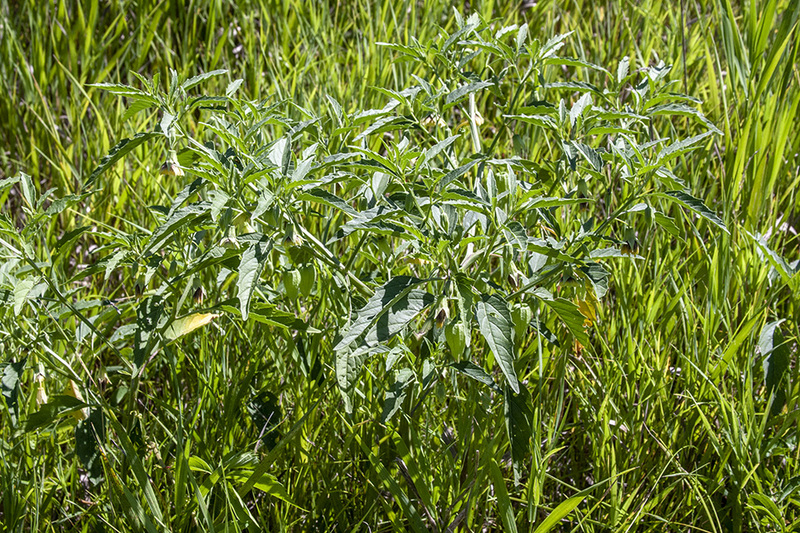 heterophylla) is a taller plant, up to 36″ at maturity. The upper stems are covered with both long, soft, shaggy hairs and sticky, glandular hairs. 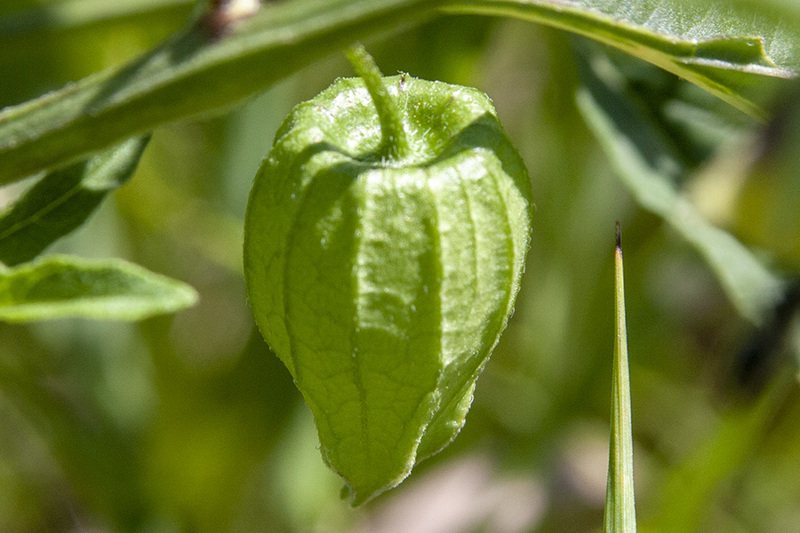 The leaves are broad, rounded or heart-shaped at the base,and clammy to the touch. The fruit is an yellow berry. 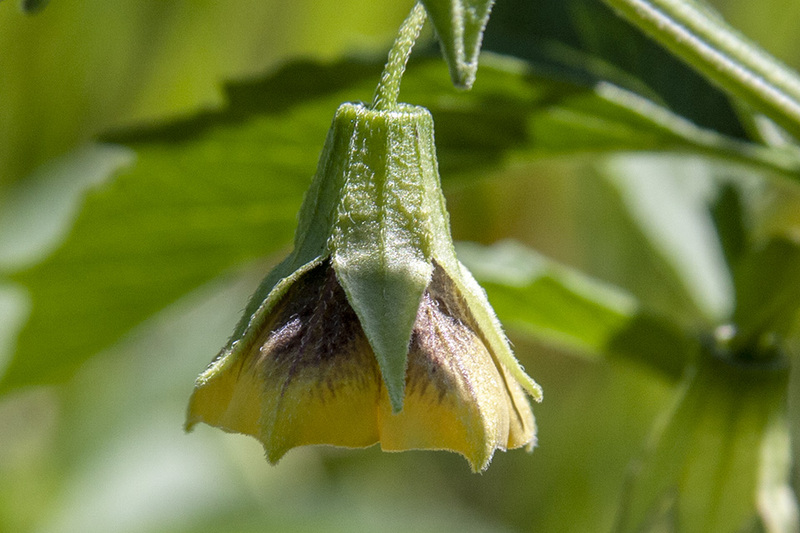 The base of the husk is indented (this may be difficult to distinguish from the sunken base of Virginia groundcherry). Hairs spread over aerial vegetation that secrete essential oils. The oils act to protect against herbivores and pathogens or, when on a flower part, attract pollinators. The hairs have a sticky or oily feel. 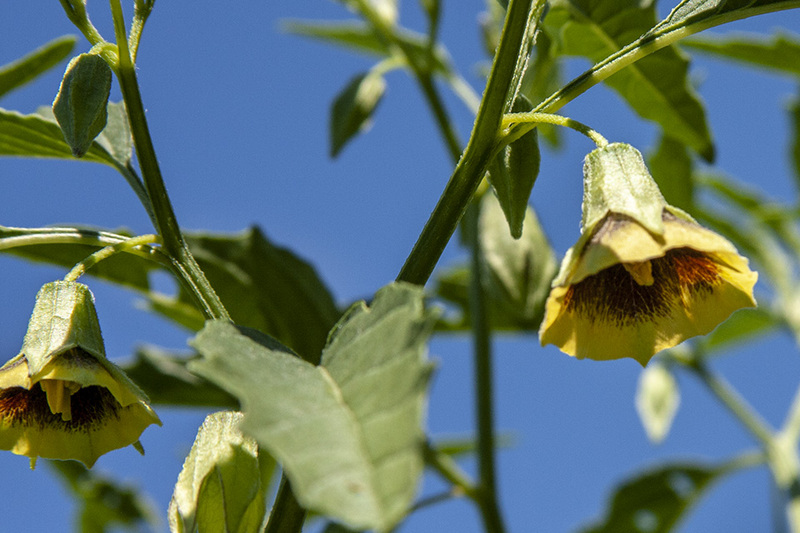 It's our Weed of the Week, Virginia Groundcherry.